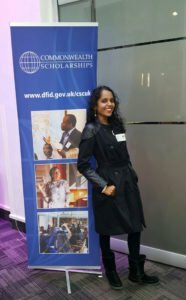 On 10 January 2017, 58 Scholars from the three UK government scholarship schemes – Chevening, Commonwealth, and Marshall Scholarships – came together for the Global Leaders event in Durham. The event, for Scholars at universities in north east England, was kindly hosted and organised by Durham University Business School, in collaboration with the three scholarship schemes. It included a fantastic keynote speech by Professor David Held, visits to World Heritage sites in Durham, and workshops focused on leadership, with the aim of improving presentation, team working, influencing, and other skills vital for career development and progression. Pictures from the day are available to view on the CSC Flickr. Nariefa Abrahim (2016 Commonwealth Scholar from Guyana, MSc Energy and Environment, University of Leeds) shares her experience of the day below. When I first arrived in the UK to begin my scholarship, I was exposed to a world beyond my dreams. The diversity of cultures, level of technological advancements, and ability to be amongst professors and colleagues with similar aspirations and beliefs led to a greater desire to explore and live every moment of this opportunity. The Global Leaders event captured my attention, as it involved the interaction of Scholars from each of the UK government’s three scholarship schemes – Commonwealth, Chevening and Marshall – providing an excellent opportunity to expand my networking structure. This, along with my realisation that many of the world’s ever increasing issues lie in our inability to make global decisions, compelled me to sign up for the event. The event involved various interactive sessions aimed at career development, global issues, and research implementation. The workshop focused on influencing stakeholders was the most memorable session for me. For many researchers, successfully completing a project is the least of their worries – the application of that research to real world situations is where the major problem lies. The inability to identify, approach, and engage the relevant groups and organisations can be a struggle. Learning how to influence stakeholders enlightened us about how to engage with the most suitable stakeholders, and highlighted keen researchers who have successfully accomplished this difficult task. I feel that the most important lesson I learnt that day was the fact that research means nothing if you just leave it hanging. 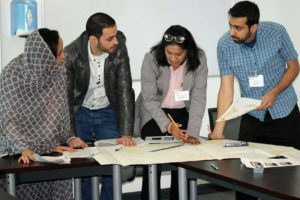 Many researchers within the group agreed that the identification and engagement of stakeholders is crucial, and that it is maybe the most problematic aspect of research. It matters little where you come from; the problem exists in every part of the world, and we as young leaders need to find that link and use this and future opportunities to make an impact, on not only our country, but also the world at large.